The Department was established in 1971. Though, it is situated in the Non-Hindi Speaking Area, it tried to be the best in this region. It has a honour be served by distinguished Hindi scholars just as: Dr. Manmohan Sehgal, a prominent name in the field of Hindi Novel and Criticism of Punjab, Dr. H.C Rajpal, a known Hindi Critic, Dr. Chandershekhar a Drama Writer and Critic, Dr. Paresh and Dr. Krishan Bhavuk an established Hindi Short story writers, Dr. Pushap Pal Singh, a well-Known Hindi Short Story Critic, Dr. Ravi Kumar Anu who was invited by the Johannes Gutenberg University MAINZ (Germany) as a visiting Professor and Govt. of India deputed him for this job, Dr. Sukhwinder Kaur Bath, presently heading the department, prominent name in Hindi Short Story writers of Punjab. It is in the credit of this department, that it took initiative in the field of transliteration as well as the translation of rare Gurmukhi manuscripts of medieval period related with Sikh Gurus and has brought out the hidden treasure of Braj Bhasha which was in Gurmukhi Script. Some 15 research work of Ph.D degree have been done on this subject. Till now, this literature was unknown in Hindi world. Now it has compelled Hindi Scholars to rewrite the History of Hindi literature in the light of these researches. The department has a rare distinction in its credit that it was approached by the U.A.E. Govt. to start special Hindi Courses for their Govt. Officers, thus we have introduced three courses for them. The maximum numbers (6) of highest academic degree (D.Lit.) holder faculty has served in the department. At present Dr. Sukhwinder Kaur Bath is also D.Lit. degree holder and it is great honour for our University that Dr. Bath is the only one with this degree in the whole Faculty. Not only this, the department produced a large number of students, who also proved their scholarship in their respective fields. We promote the Inter-disciplinary Research, so all the areas of Society and Human Life become the Thrust Area. i.e. Sociology, Psychology, Aesthetic, Culture etc. Basically, in the field of literature all the Areas of Research inhabited itself. Besides teaching of M.A. and M.Phil. the department has done commendable work in the fields of Comparative Literature-Hindi-Punjabi and It took initiative to transliterate as well as translate the valuable Gurumukhi Scripts. Under the collaboration with U.A.E. Govt., department is pursuing three courses for foreign students. The department has always been engaged in organizing seminars, extension lectures and invited the prominent scholars and writers of Hindi Literature such as Dr. Kashinath Singh (a prominent hindi writer, Varanasi), Mr. Surendra Verma (a prominent hindi Drama writer, Delhi) Dr. Chitranjan Mishar (Vardha), Dr. Manju Jyotsna (Ranchi), Dr. Achutan, (Calicut) Dr. Navneet Chauhan (Vallabh Vidyanagar), Dr. S.M. Iqbal (Vishakhapatnam) Dr. Sudhakar Singh (Varanasi), Dr. Ramesh Kuntal Megh (Panchkula), Dr. Kumar Krishan (Shimla) Dr. Lal Chand Gupt Mangal (Kurukshetra), Dr. Sudha Jitendra (Amritsar), Dr. H. S. Bedi, (Amritsar) Dr. R. S. Pandey (Rohtak), Dr. Mohanan (Kochi), Dr. Vanaja ( Kochi) etc. Department has a distinction of establishing 'Bhagwan Parshuram Chair'. The department has its name in this region in the fields of Hindi Novel, Drama, Short story and criticism. Department has maximum strength of students as compare to the other Universities of this region. Most of the students of this department have taken up teaching as their profession. Some of them have gone in for higher studies, research jobs, administrative services (I.A.S., P.C.S. etc.) banking sector, Hindi Journalism, Police Department and some even have floated their own institutions. 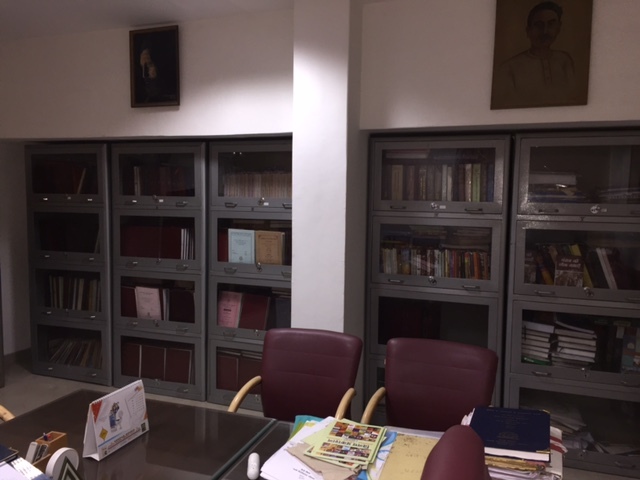 The department has good number of Research Scholars availing fellowship under different scheme such as Junior Research Fellowship, Maulana Azad National Fellowship, Rajiv Gandhi National Fellowship etc. The department has sufficient space & infrastructure. It has sufficient and specious class rooms to accommodate all the students of different courses (8). 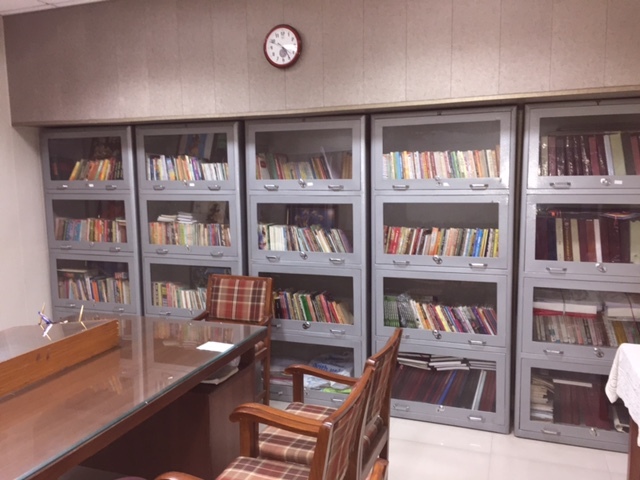 Though department has no library, but the teacher have collected good number of books in the department, by their own.